Accelerate your business and safety performance. Whether you need to accelerate the performance of an individual, team, site, or your entire organization, ADI offers a broad range of science-based behavioral services to guide and support that improvement. ADI's extensive service offerings include surveys, assessments, training, coaching, and expert consulting services. We meet you where you are, take you where you need to be, and support you in a way that fosters a safe, positive and engaged workforce. As your business partners, we work with you to determine the appropriate service or services that will prove most valuable, then tailor our offerings to address your unique goals and challenges. We are committed to delivering you our best. We invite you to explore how best to accelerate business and safety performance in your organization with our wide range of service offerings. A leader’s ability to effectively manage and coach people within a positive work environment has become more and more complex. Now more than ever, leaders and managers must develop strong people management skills that motivate and sustain behavior change that leads to business success. ADI’s behavioral leadership solutions support leaders and managers in building and sustaining a coaching culture that achieves high and steady rates of performance. Through our understanding of human performance, we support clients in applying a scientific approach that is clear, systematic, measurable and repeatable, and contributes to a positive, engaging culture. ADI’s performance improvement consultants support clients in successfully applying its science-based approach to leadership and coaching. Getting safety right is one of the biggest organizational challenges and one of the most important. While many organizations find themselves doing more with less, creating and sustaining a workplace safety culture has become increasingly more complex. Whether your organization struggles with getting front-line supervisors to keep safety as a priority, engineers to build safety into designs, senior leaders to make decisions that will support safety, or frontline employees to make safe choices, it is all about behavior. Through ADI’s safety leadership consulting, we work with all levels of your organization to acquire the necessary behavioral tools and effectively apply them to address your unique challenges. Let ADI support you in implementing a behavioral safety program that leads to achieving and maintaining exemplary safety performance. Effective workplace surveys give your employees the chance to be heard, help you retain and attract new talent, and provide feedback individual managers and leaders need to improve. Whether you are interested in changing organizational culture, conducting a leadership survey, or implementing a safety culture survey, ADI’s science-based approach delivers the information you need to create positive change. More importantly, ADI custom surveys are easily translated into coaching action plans for people, systems, and processes. Whether creating a strong culture or increasing individual success, the behavioral technology built into ADI’s surveys identifies what is needed for high and steady rates of positive performance. No other surveys compare. Let ADI help you to lead the way toward improvement. Organizations are constantly looking for improvement in business performance, organizational systems, and processes. However, most often they are too close to see potential challenges that impede improvement. They must look at their organization from a different vantage point. ADI performance improvement consultants apply a behavioral approach to assess and analyze critical components of an organization’s people, systems, and processes to uncover opportunities that otherwise go unnoticed. ADI assessments allow clients to align business goals and objectives with behavior at the department, site, or organizational level. Let ADI help you identify and leverage the behavioral safety and organizational improvement opportunities that will lead you toward business success. For organizations to invest time and money into training their employees, the insights and skills taught must immediately add value to the work and overall success of the business. Unfortunately, not all training does. ADI offers leadership training, safety leadership training and a behavioral safety program designed to introduce participants to the science of behavior and provide the tools, practices, and methods needed to accelerate and sustain safety performance and business results. Available in our Atlanta training facility or on-site at your location, ADI workshops are targeted at the skills you need to accelerate business performance. Develop your skills and gain actionable next steps with ADI workshops. Corporate initiatives such as increasing efficiency or productivity, standardizing processes, or improving leadership engagement often stall before being fully implemented. Most times, it’s not for lack of effort, but lack of clear direction and the positive consequences needed to keep desired behavior going. These behavioral roadblocks and miscues can derail the best of intentions. ADI uses a behavioral lens to provide expert consulting on the design and implementation of your strategic and tactical plans. ADI ensures the integration of the behavioral component, which leads to the smooth and rapid execution of your organizational initiatives and achievement of your goals. Business is behavior, and ADI is the behavior experts. Let ADI help you to avoid the roadblocks standing in the way of successfully implementing your initiatives or strategic plans. 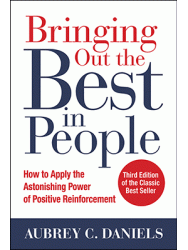 Many companies struggle with how to focus and engage employees to give their very best. Those whose employees feel valued and have a sense that their individual contributions matter achieve higher profitability. Based on behavioral principles, ADI’s approach to scorecards and incentive pay provides companies with a performance system that effectively communicates organizational strategy across all levels and equitably distributes incentive pay based on objective, results-driven performance improvement. ADI’s performance system allows clients to evaluate and compensate performance objectively and equitably. Let ADI performance improvement consultants help your company achieve high and sustainable rates of success for years to come. Most speakers focus much of their time and effort on entertaining their audience. While entertainment is important for getting and keeping attention, what audiences need is a presenter who inspires them to take action. ADI’s expert presenters deliver talks that challenge and inspire change. Whether you are looking for a keynote for your next corporate or association event, or an inspired presentation for your team or site, our speakers share their behavioral expertise and rich insight on important workplace topics like leadership engagement, changing organizational culture, or how to create a safety culture. Let one of ADI’s dynamic personalities energize your next conference, executive retreat, or event. External training, coaching, and implementation support can be costly for global organizations. Many large organizations or companies with a diverse population of remote workers look instead at training programs that can be brought in-house and taught by their internal trainers or staff. ADI supports this strategic approach through instructor and coach certification workshops that transfer our behavioral expertise, allowing organizations to develop the skills needed to teach others how to motivate people, create a safety culture, improve employee engagement, foster leadership accountability, etc. By building in ADI’s behavioral approach to internal training, organizations develop the local support needed for efficient training delivery and real-time implementation support. The ultimate reward is the long-term sustainability of improvements. Let us prepare your internal champions to deliver ADI’s proven behavioral approach. When it comes to training, organizations have more options now than ever. Yet, with all of the advances in training delivery, many still fall short by not transforming learners into fluent employees who can respond without hesitation. ADI’s Blitz Precision Learning® is a web-based program that helps clients accelerate the learning curve by building fluency in the content that is most important to your business. Through Blitz, employees master and become fluent in the knowledge they really need, allowing them to recall or apply that information accurately and quickly. ADI clients who use Blitz have a more precise measure of learning, faster learning, and learning that is retained for the long haul.